Hello and welcome to our brand new website! We decided a redesign was in order for 2018 and going forward. We’re so excited to release more music and develop the site further. The new site is optimized to showcase our whole library of royalty-free music and make it easier for you to browse our archives to find the perfect music for your next project! The look of the site has drastically improved and we’ve fixed a lot of small errors that were harming the performance of the site. It’s a big change! We have a new audio player for our archives that is much better than the last one. This may seem like a small change, but it has been a long-time-coming! Our new design incorporated more security for the site, which is important since we now accept credit cards. You can now filter the archive of royalty-free music to narrow your search! The best ways to do this are by clicking a category from the dropdown menu or searching for a theme that you want. We also allow the archives to be filtered by price, popularity, and post date. This can be handy! You can now create and log into your account to access previous purchases! This is a neat function that we have wanted to have for a while. We may expand on this later. If you think the site needs more work or encounter any bugs, please let us know! We are constantly working on the site and want to make it better and better as time goes on. Never hesitate to drop us a line! 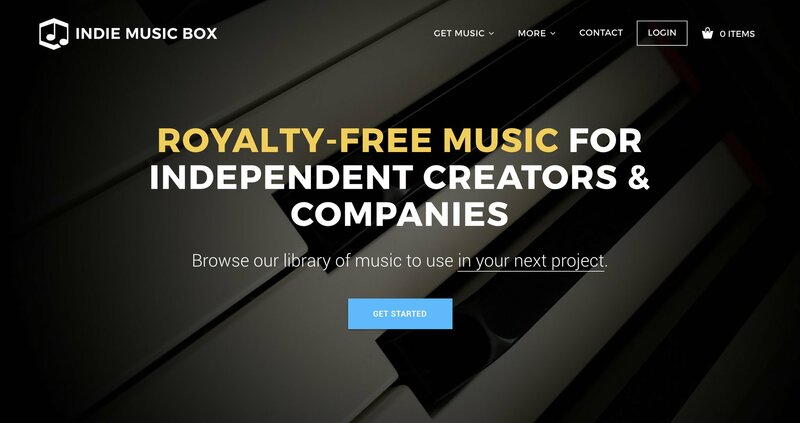 Email info@indiemusicbox.com or use the form below!